Who wouldn't want to have this colour pack? 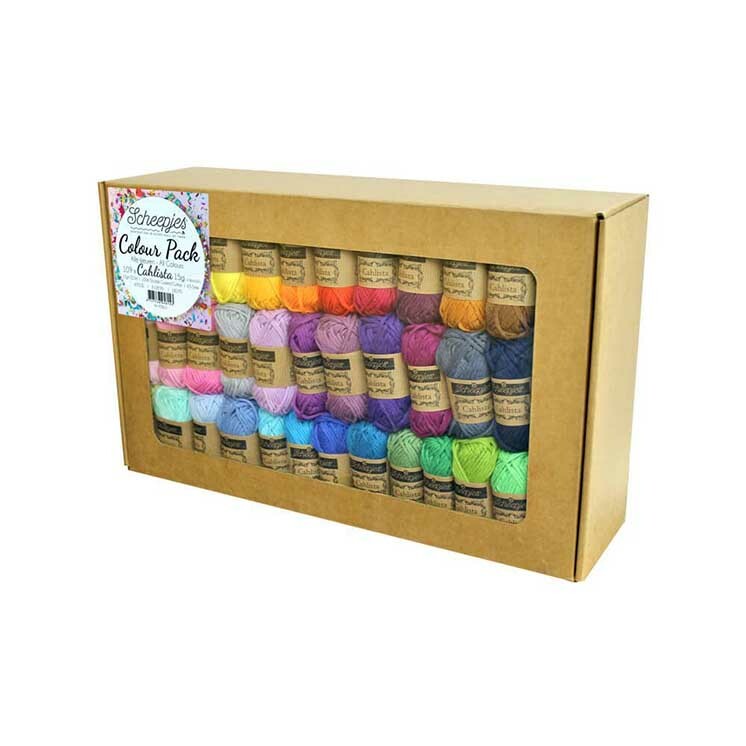 The Scheepjes® Cahlista colour pack is definitely a must-have for every crafter - containing a full set of all 109 colours in 15 gr. skeins. Cahlista means 'beautiful one' and Cahlista definitely is! This 100% un-mercerized cotton aran weight yarn has an optimised twist to reduce splitting whilst maintaining a soft drape. This yarn is double gassed, this means it is passed over a naked flame to singe away any random fibres, not once, but twice… creating a super smooth yarn that glides on the hook or needles.